Globalization displaces national identity in Moniz’s site-specific performances. Moniz will display video and photo documentation of his site-specific performances, performed around the world. In Temple Swap, Moniz takes a section of a demolished Buddhist temple from China and attaches it to an imitation temple built in the Sahara Desert for Martin Scorsese’s film Kundun. Moniz’s work also dissects the mechanics of movement. 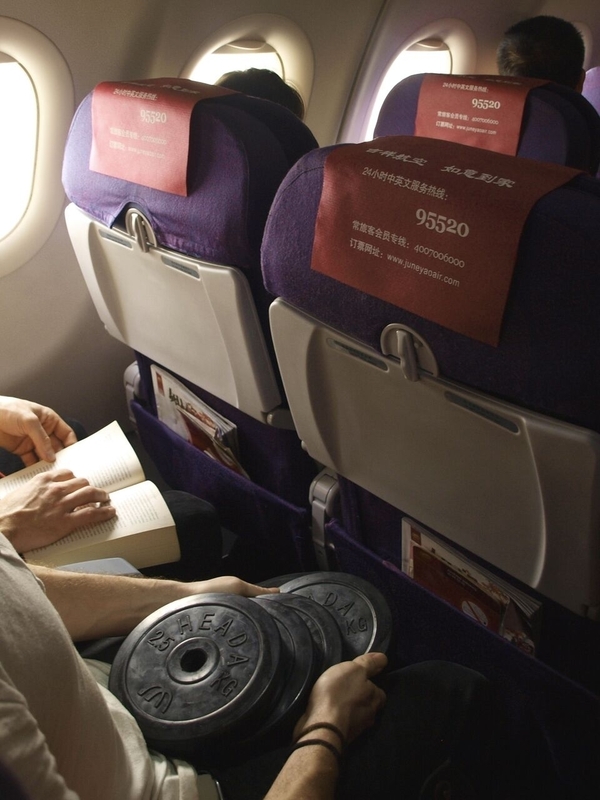 In Carry-On Allowance, Moniz tests the flight carry-on weight limit by carrying 10 kg in actual dumbbell plates. Ash Moniz was born in 1992 in Wawa, Canada, and has lived in Australia, United Arab Emirates, Morocco, China, and Canada. He has exhibited internationally in museums, galleries, and artist-run centers. He is the founder of an international residency/exhibition project in Morocco and is the assistant curator for the NUA Museum in Nanjing, China.